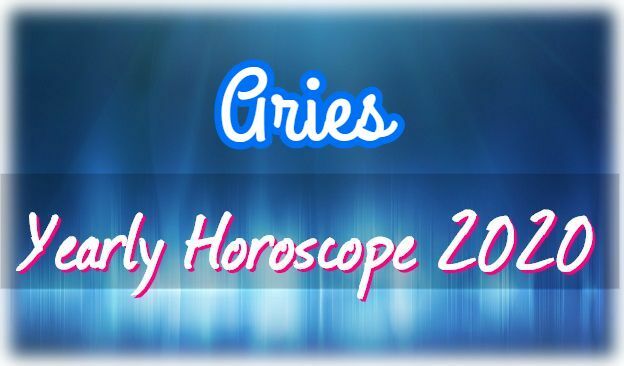 Aries are on a charm offensive in 2020; while 2019 may have been about burning bridges, 2020 is all about building relationships, forming new business and personal relationships and making these work for you. Aries are excellent at networking, social media networking and the more traditional methods as you are very personable and also intuitive regarding anticipating and catering to the needs of others. This is a year that is very sociable both at work with events and conferences and within your personal life where there will be more functions to attend and new friends with which to get involved in activities. 2020 is a very positive year for new businesses involving working closely with the public in services or regarding direct selling. Word of mouth is a powerful way to grow, and if you focus on building and maintaining relationships, you will see dividends. Bring people towards you by including them in your goals and in your success and focus on the team element of your work – 2020 works well when everyone around you wins. Expansion in your client list or a great improvement in your relationships with suppliers and customers is possible. Aries are very romantic and also sexual this year, and so this bodes well for all relationships. You are more sensitive than usual and sexually more attuned to touch, feel, smell, etc., and so willing to take your time and savour the moment rather than wham bam thank you, ma’am. 2020 is about soft pressure or the soft sell – in all aspects of your life, taking a guns blazing approach will not yield results, while if you take a very diplomatic, skilful, and subtle path, you will be amazed at what you achieve. Hold back and do not look too eager; take the foot off the accelerator and pump the brakes until the other person gets hungry. Appeasement and compromise, initially, should help you to expand and gain far more cooperation; so much so that you may end up getting exactly what you wanted all along. If you have recently broken up with someone or have been out of the dating game, then this is a terrific year to dip your toe into the love ocean and see that there are indeed many fish in the sea – it will not be too long before you take a swim. This year is both expansive and daring; you are thinking big, and you have loads of plans in the pipeline. There is a strong need to throw off the shackles of restrictive thinking, and you will allow yourself to give free reign to your imagination as you act on your vision. This year is one in which you have a clear plan in your head, and all you need is the oomph to get cracking on it, which will be with you in 2020. To expand or fulfil your ambitions, you need the right people around you, and this year is one in which you can make lasting relationships with professionals who can support you, i.e., lawyers, accountants, business associates or even politicians. It is important to look at how your plans affect others and to bring them all on board – listening to their opinions or even concerns can bring them onto your side, and they could give you valuable advice. Advice is key to this year, and it is very important to listen to other’s opinions or ideas – even if what they say is not meant to be helpful to you. It is a year of observing and taking note of how others work and seeing what works for them. You can build on what others have done and use your inspiration to take their ideas forward. This is why listening and keeping your ear to the ground is vital. You have strong, consistent streams of energy and can focus that energy towards goals more so than usual. You have great concentration and powers of persuasion in 2020, and you are good at implementing new strategies and systematically moving towards goals. This can be a very productive year for you as you have not only the vision but also the financial and common sense ability to know how to turn these ideas into something concrete. 2020 is very much a year of concrete progress in life in terms of goals that have material or quantifiable goals. There is a sense of shaking off fears, worries, and anything which holds you back, and you are looking at life with optimism and excitement while putting concrete steps into action to make things happen. Who said the Bull was passive and averse to change? Not this year as Taureans are imbued with the spirit of enterprise and are having an explosion of ideas. They are taking the bull by the horns and throwing themselves into new fields, starting new ventures and incorporating new ideas into their lives to make work more fun and more rewarding. Taurus are often held back by what others think and can fall into this rather stultifying mode of people pleasing; however, this year they are not caring what anyone says or thinks and are going ahead and expressing themselves boldly. There is less care about loss right now and more concern about what could be gained if you step away from the comfort zone. They say that at the end of your life you will regret the things you did not do, rather than the mistake you made when you did try something new, and that is the spirit gripping the Bull this year. Your thought processes are far less conservative, far less restrained by convention and by what others may say and far less cautious. You are more inclined to speak up and to say what you think – to hell with it. This year, Taurus will take an attitude of trying many new things with the knowledge that some will and some won’t work – when it does work: great, when it doesn’t work: also great, at least you tried. A sense of excitement is returning to your life and a certain whiff of freedom – that feeling of being young again before responsibilities and adult life dampened that ability to dream and dream big. This year is much about you and what you think – it is also about how changing attitudes can transform your life quite magically. This feeling of freedom regarding how you act and also how you communicate with others will get stronger as the year goes on and into 2018. Taurus are liberated from a need for approval, and you will find you spend far less time on things that used to satisfy you. Suddenly you realise how stale your life was and how many of the things you were doing were aimed at winning favour, feeding your inner child or pleasing people – you will quite unconsciously shift to activities which are actually more fulfilling and more exciting and more about YOU. You will experience more independence psychologically and can free yourself from any emotional crutches you may have used in the past. There are new friends and new activities, and while your old contacts and friendships remain important, there is more breadth to your social and emotional life now. You can make constructive use of new conditions in your life – these may have to do with taking advantage of new laws, political changes, tax breaks, opportunities to work or study overseas. You may also have a chance to further your qualifications or gain internationally recognised skills. There are opportunities for those of you who work in the sciences or emerging industries to get funding or research grants. This is a very exciting year for Taurus who innovate in terms of green energy or agricultural/organic food production. This is a highly fortunate year for Bulls who wish to raise awareness about new trends in health, alternative healing, and natural therapies. This is an optimistic year where you are less cynical and more willing to look kindly on your fellow man without criticising. There will be many new friends and a chance to entertain in your home. Your optimism and openness can lead to sudden lucky breaks, which are totally unexpected. 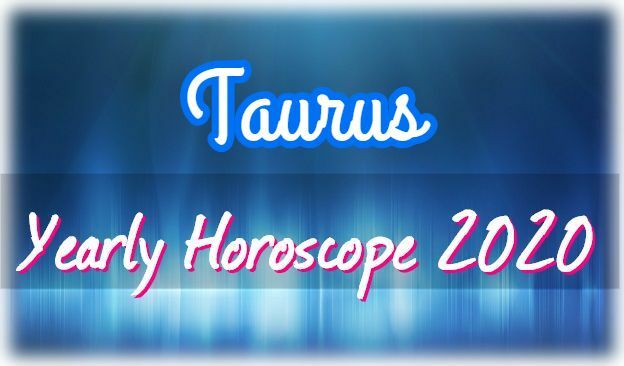 Taurus have an openness and excitement about change and are looking for ways to seize the initiative and capitalise on new developments in their industry, community, or country. You have a more pioneering attitude, and rather than trying to resist change and hang on to what is secure, you are happy to let go and go with the flow, waiting to observe and pounce on your chance. You will use change to your advantage, and the key this year is for you to be flexible and to adjust fast to changes. Taureans are masters of the game this year – they are looking to spread themselves more thinly regarding keeping options open and thus being able to switch from activity to activity according to which is going better. It is a year when you need to be versatile in terms of money making – you may have various income streams or you may, as in keeping with the nature of the job market, train for an additional skill/discipline to either complement or keep in reserve should you need to swap career. This is a very good money year, and hard work done last year will pay off as you begin to see rewards. The year starts with a continued focus on the financial and planning aspect of your business and work. You are seriousminded and incredibly mentally determined. You are impelled to strengthen up any weak areas of your life which need attention so you can function as effectively as possible. You are formulating clear goals and are single-minded and self-denying in pursuit of those. The first part of 2020 sees you working consistently to bring plans to fruition; this is not the time to ease off on the pressure. The foundations are there, and you need to build on them in the months to May: using your charms, social skills, and persuasive ability to build relationships and extend your networks. Money should be set aside and saved or reinvested in the first few months as in the second half of the year there will be many investments and also pleasurable opportunities where you will want to spend. The first half of the year is frenetic and often your nerves will feel frayed, but you need to keep calm and hold your tongue as words said in haste can be counterproductive. Relationships can be challenging in the first part of the year for a few reasons; you can be careless with your words and insensitive to the values and feeling of others. You are in a tough love mood, but that may reflect your own feeling of self-sufficiency. You can come across as distracted and abrupt, and you may want to take more time to invest some emotion in your relationship and pay attention to what is going on with your partner. This is a very ambitious time for Gemini; despite uncertainty you will press on, determined to make every aspect of your plans viable. Your relationships with others can be complex – while on one hand you are very supportive and encouraging to your friends and those close to you, having their back and defending them, you can be guilty of manipulating them in a game you are playing. You are skilled at directing conversations and interactions, then engineering them to your advantage. 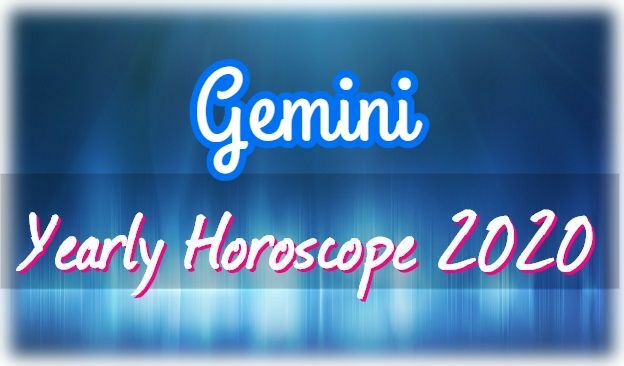 This is a powerful time for Gemini in business or any Gemini looking to nail a good deal. You should not try and get ahead of yourself; at times you think you are ahead of the game when suddenly things change, and you end up caught in a trap of your own making. Gemini are powerful at using illusions this year – you can get others to react to an image you project while you keep your true aims secret; while this can be very successful, you can get tripped up if you go in for the kill too soon. The problem for Gemini this year is awareness and concentration – you can sometimes be so focused on one thing that something fairly innocuous crops up and throws a spanner in the works. Nothing should be assumed as this year, last minute changes can often swing a situation 180 degrees. Denial is a problem for Gemini; often, you just close your eyes to what you are doing, almost holding your breathe and just doing it, knowing that some consequences will be unpalatable to others. There is often opposition to your plans, and so some tough decisions will have to be made. You cannot please all the people all the time, and while it is hard for you to wield the axe (by ending some relationships/friendships or activities), you know it has to be done. Confrontation during the first half of the year is vital as it helps you establish the ground and clear the deck for your next phase.